Provide young women with an opportunity to play competitive basketball. Teach competitive basketball to all players within the organization. Provide the best coaches available. Provide a family environment for players, families, supporters and referees. Provide a venue for young women to demonstrate their skills to college recruiters in hopes of securing basketball scholarships. DLH teams disband in the winter which allows the girls to return to play on their schools/community based teams. In the fall, each grade will have one or more open gyms. This is prior to the start of OHSAA school ball and allows potential DLH players a chance to get in the gym and work on their skills. In January/February, each grade will try to have one or more open gyms. These open gyms are for any girls interested in playing for DLH. Tryouts take place in late February or early March (3rd – 8th grade). High School teams are chosen via Invitation and through the fall open gym process. Teams are selected by coaches and a group of evaporators during two days of tryouts (Youth teams). Games start right after tryouts (in the form of tournaments) and run through the end of May/early June for most teams and into the summer for those attending National Tournaments or College Exposure events. Coaches usually keep 10-12 girls per team. For non-high school teams, DLH normally has a black and white team per grade. 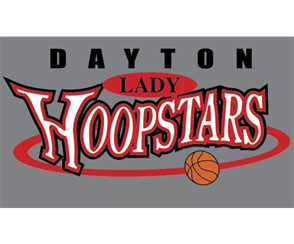 Teams will generally practice twice a week around the greater Dayton area based on where the coach or players have access to gym time. Games are played by entering tournaments that take place on weekends. Each tournament usually consists of 3-5 games (or more). DLH program directors work closely with coaches to suggest schedules for all DLH teams. This process will hopefully reduce tournament entry fees and also allow multiple teams to travel to tournaments together. Ultimately, each team's schedule remains up to each individual coach/team. Most teams will play between eight and twelve tournaments for the season. Most tournaments are within 30-60 minute drive times but some teams do travel further on occasion and require hotel stays. All DLH players and coaches must obtain AAU membership cards. This also serves as insurance for the organization, teams and players. All DLH youth teams are required to participate in the Ohio District AAU Championship and the AAU National Championship if the team qualifies. DLH youth teams supports AAU. DLH also has partnerships with Blue Star Basketball, USJN, and Nike. As a guideline, participation fees range from $300-$650 and are determined by the coach of each team. team incidentals such as postage, copying paperwork, etc. DLH provides one of the best values in all of spring/summer basketball programs. Many other basketball programs and most other club sports programs charge $1,000 or more for the same features and benefits. After tryouts are completed, teams will collect a team fee from each player determined by the coach based on number of players on the team, cost of practice facilities, tournament fees, coaches travel expenses and any other team expenses. Our Premier and Elite teams are for High School age players looking to play at the next level (College).These teams focus on player development and college exposure events. Our Black teams compete at the national level and represent the best players in the area.The practices are intense and the competition is strong.Most black teams play up one or two grades in most tournaments and youth teams compete in National AAU events. Black teams are normally grade based. Our White teams compete at the regional level and represent the next tier of players in our program.Most white teams play grade appropriate but it's not uncommon for stronger white teams to play up one grade. Youth White teams typically compete at the AAU Division 2 level and many do attend National AAU events.White teams are grade based.